If rapid battery drain is something that's been an issue for you in the past, Apple is now making it easier to monitor what might be the problem. 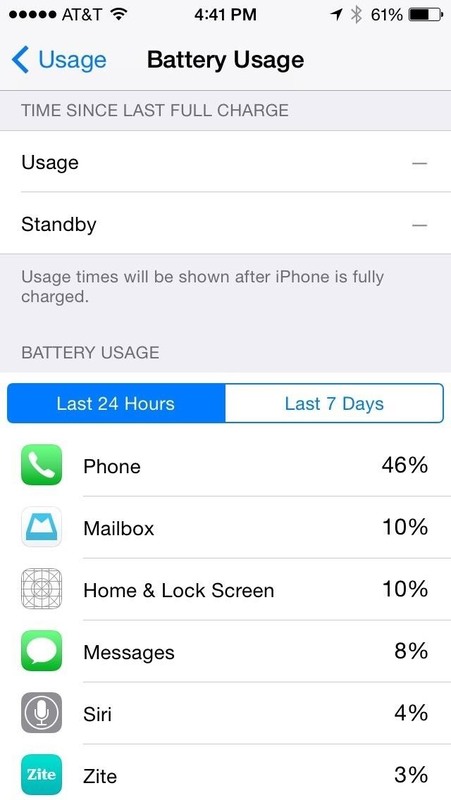 In the new iOS 8, you can now check battery usage for every app on your device. 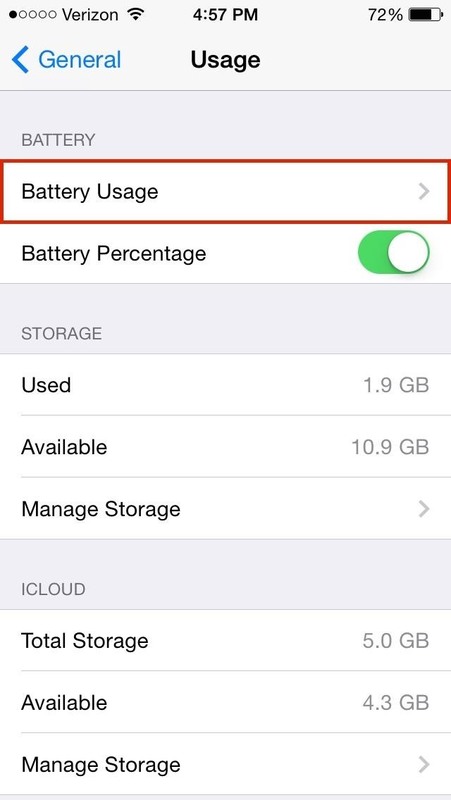 To check how much battery your apps use up, go to Settings -> General -> Usage -> Battery Usage. At the bottom, you'll see options for checking your battery usage in the last 24 hours or for the last 7 days. If you just installed iOS 8 on your device, you'll have to wait a couple days before the 7-day option will be useful. Next to each app, you'll see a percentage indicating the amount of battery used by that app when your iPhone is not charging. With this feature, you can manage all the apps on your device, and close or delete any that are using up too much battery. And judging by the cover pic, I gotta get off Tinder.